Mark Udall was a Democratic member of the United States Senate, representing the state of Colorado. 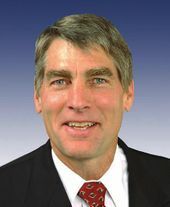 The people of Colorado elected Mark Udall to the U.S. Senate in 2008. Prior to that, he represented the state’s 2nd Congressional District for five terms (from 1999-08). He also served one term in the Colorado State Legislature as a member of the General Assembly (1997-99), representing the 13th District, which encompassed the community of Longmont and parts of southern Boulder County. Mark Udall and his wife, prominent attorney and conservationist Maggie Fox, have two children: a son Jed and a daughter Tess . They live near Eldorado Springs in Boulder County. Mark Udall was born on July 18, 1950, in Tucson, Arizona, but has spent his entire adult life in Colorado. After graduating from Williams College in 1972, he moved to Colorado's Western Slope and began a long and successful career with the Colorado Outward Bound School as a course director and educator from 1975-85 and as the organization’s executive director from 1985-95. He is an avid mountaineer and has climbed or attempted some of the world’s most challenging peaks, including Mt. Everest. His father, Morris Udall, served in the U.S. House of Representatives for 30 years and ran for the Democratic nomination for President in 1976. His uncle, Stewart Udall, was widely revered for his accomplishments while serving as Secretary of the Interior under U.S. Presidents Kennedy and Johnson. In 2008, Mark’s cousin, Tom Udall, was elected to the Senate from New Mexico. Udall received $10,000 in lobbying funds from Planned Parenthood in 2008. The Council for a Livable World, founded in 1962 by long-time socialist activist and alleged Soviet agent, Leo Szilard, is a non-profit advocacy organization that seeks to "reduce the danger of nuclear weapons and increase national security", primarily through supporting progressive, congressional candidates who support their policies. The Council supported Mark Udall in his successful 2008 Senate run as candidate for Colorado. He has also been previously supported by the Council. Udall has a strong record on national security issues, scoring an 88 percent on the Council for a Livable World's PeacePAC voting scorecard. He voted for requiring Congressional authorization for military operations in Iran, for an international treaty banning space-based weapons, for increasing funding for nuclear non-proliferation and against development of new nuclear weapons. This year, he voted against an amendment to add $764 million for missile programs and took the initiative on pressing legislation barring President Bush from attacking Iran without prior Congressional approval. Representative Udall is the lead House sponsor of a measure introduced in the Senate by Sen. Jim Webb (D-VA) that would make it more difficult for Bush to strike Iran. This Colorado contest is one of the best opportunities in the 2008 election to win a Senate seat for a progressive with a proven political record. Mark Udall will work hard to end the war in Iraq. He is a man of courage who voted against giving President Bush the authorization to attack Iraq. Council for a Livable World has endorsed Mark Udall with great enthusiasm. 21st Century Democrats unsuccessfully endorsed Mark Udall for Senator from Colorado in 2014. The Alliance for Retired Americans Political Action Fund endorsed Mark Udall in 2014.